i can swiftly manage the customer care routine and approach each customer individually thanks to my awareness of context and communication history. This allows you to focus on what really excites your customers. Digital transformation is a great challenge for a wide range of companies. Its most important contribution is to improve customer experience. And chatbot is one of the new technologies that can completely change customer experience. The most recent data indicates that the most important benefit of the digital transformation is improvement in the customer experience. And it is precisely the chatbot that is one of the new technologies that could completely transform the customer experience. 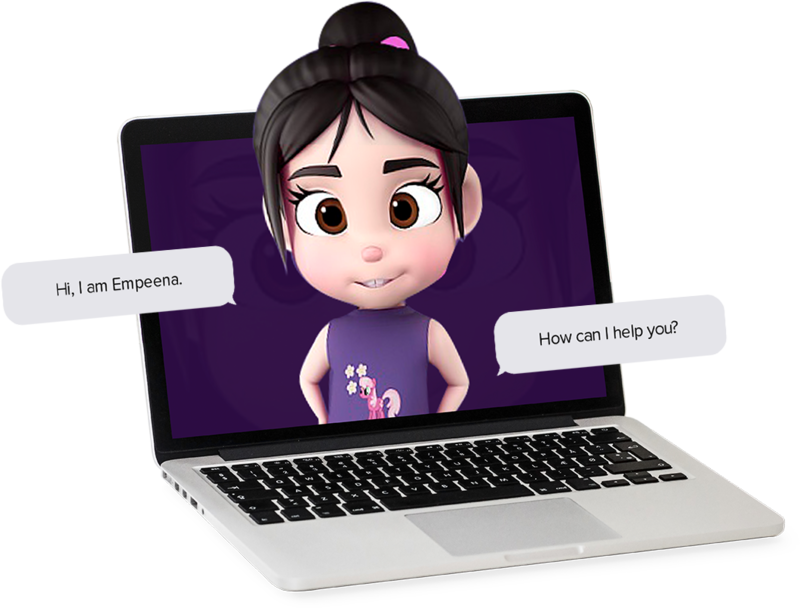 A chatbot is a computer program that interacts with people through a chat interface, via either text or audio. It helps customers resolve the most varied tasks, for example ordering food, subscribing to a newsletter, or obtaining information about a store’s opening hours. Companies use them because they can satisfy customer needs in a simple manner, thus providing them with the space to concentrate on more comprehensive customer care. Also, chatbots are additional ammunition in the battle for the attention of customers. 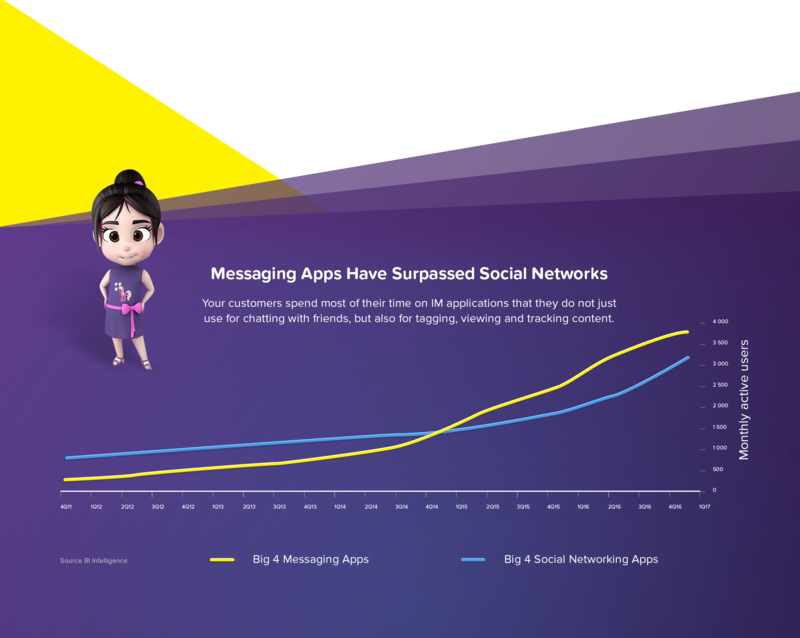 These no longer spend the majority of their time on online social networks, but rather in IM applications that they use not only for chatting with friends, but also to connect with brands, view goods and track content. I remember the communication history with the customer. This means I can restart communication where we left off, and also work with context. 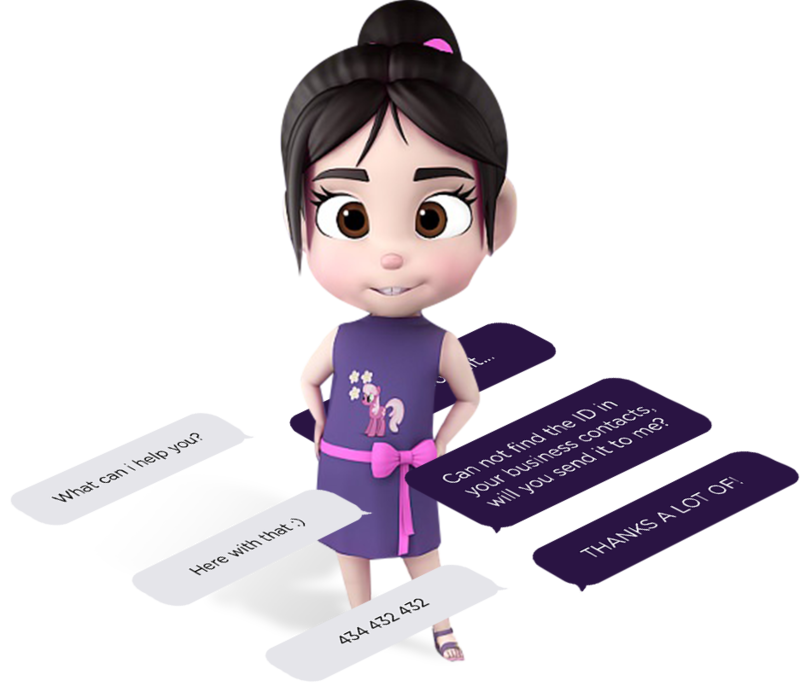 I am one of the first empathetic chatbots. I work where people spend most of their “digital time”. In instant messaging apps like Facebook Messenger. I can also take the form of a web app to which, however, you have to attract customers. Do you want the customer to be able to pay for selected goods immediately? No problem. Cleverlance can connect me to any system without restrictions. My head is in the clouds, and so all improvements to my intelligence are immediately available to customers. I learn from my experience and interactions, of course in accordance with customer needs. Human-centered machine learning is my mantra. I come mainly in text form, but thanks to cooperation with voice-control technologies, I can also have a voice. Soon you will also be able to meet me in virtual reality. Outstanding customer care is a matter of course for me, and selling products and services in the following areas is hardly a challenge. For example IVR, customer self-service, reserving resources. Sales, online banking, customer support, reserving resources. Customer and product support, customer service. Customer and product support, customer service.. I will promptly and individually take care of your customer. I am capable of accepting unlimited quantities of orders. Thanks to perfect customer care, users quickly become customers, and customers satisfied fans of your brand. Is it getting harder and more expensive to find and retain employees? This problem does not apply to me. You can obtain me and train me easily, and with a minimum of care I will be devoted to you until the end of time. Don’t worry that I might leave you for a competitor. Turning employees into ambassadors of your brand is not easy - the price is a lot of training and teambuilding sessions. And you can still never prevent occasional employee dissatisfaction. That’s not for me: I give customers a consistent brand experience. I am a brand ambassador you can rely on. I am connected to social media, and so along with me you will also acquire a range of interesting data about your customers. This information will help you target them precisely, and contact them with relevant offers. Marketing cost optimization is another advantage I bring.